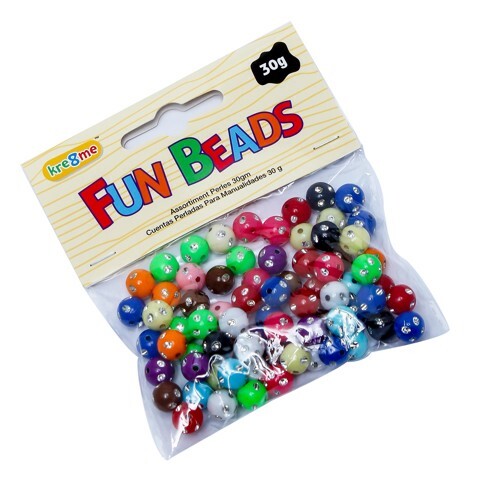 Craft Fun Beads 30G. 30g. 5 Designs Equally Assorted in the Carton. Plastic. 30-34G Packaging: Polybag with Header Fold Over Backing Card.